PRAGUE – Investment and trade ties between Việt Nam and the Czech Republic have shown encouraging signs as political and diplomatic relations continue to thrive. According to Vietnamese Ambassador to the Czech Republic Hồ Minh Tuấn, two-way trade increased at a rate of about 15 per cent in recent years. Import-export turnover between the two nations was reported at US$1.2 billion in 2018, doubling the amount recorded in the previous year. As a member of the European Union with a traditional friendship with Việt Nam, the Czech Republic stands ready to co-operate with the Southeast Asian country in its fields of strength like manufacturing, mining, food processing technology, agriculture and beer production. The Vietnamese diplomat said that the Czech Republic sees Việt Nam as a potential trade partner and a bridge to bolster exports to the Association of Southeast Asian Nations (ASEAN). The country hopes to receive support from competent authorities in Việt Nam in finding partners. Once the EU- Việt Nam Free Trade Agreement (EVFTA) takes effect, Czech enterprises will have more opportunities to land long-term investments in Việt Nam and boost exports of machines, equipment, pharmaceuticals, chemicals and means of transportation. The deal will also facilitate conditions for Việt Nam’s shipments of footwear, garments and textiles, tropical agricultural products, seafood, wood products and industrial products. 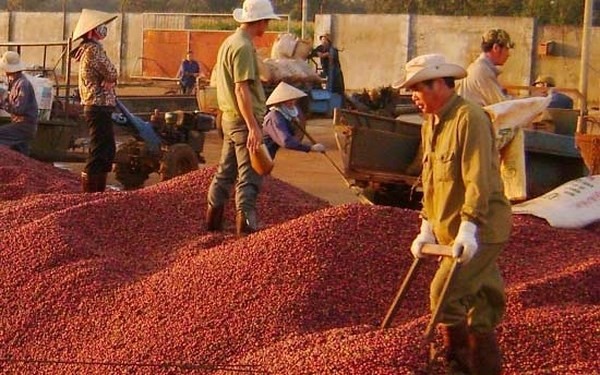 Czech Deputy Minister of Industry and Trade Vladimir Bartl said Vietnamese coffee, pepper, fruits, tea, seafood, fine art, footwear and clothes have been exported to the Czech Republic while the European country has shipped electronic products, milk and chemicals to Việt Nam. Việt Nam currently enjoys a trade surplus of $800 million with the Czech Republic, he added.